The cornea is the outermost layer of your eye. It is a clear dome that helps protect the eye from germs, dust, and other harmful particles. Light rays first enter your eye through the cornea, the “window” of your eye. The cornea and lens in your eye work together to help your eye focus. Dry eye is a common condition that can occur if you do not produce enough tears or if your tears are not normal. Symptoms may include itching, burning, stinging, or excess tearing. 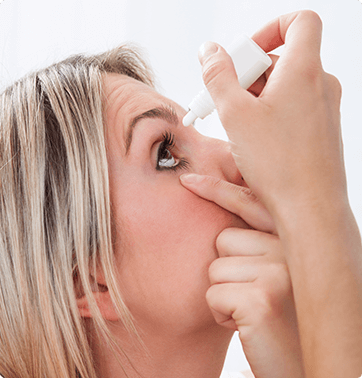 Dry eye can result from blocked tear ducts, eye infections, and some medications. Environmental factors such as sun exposure, smoke, wind, dry air, or indoor air conditioning can also contribute to dry eye. In addition, the risk of dry eye increases with age. Over-the-counter or prescription artificial tears may be used to add moisture to your eyes. In some cases, our eye doctors may recommend blocking your tear ducts using punctal plugs. Our ophthalmologists will diagnose the cause of your dry eye and recommend treatments to relieve your symptoms. To treat your dry eye symptoms, we offer Oasis Tears as well as EyePromise EZTears vitamins at a special offer. 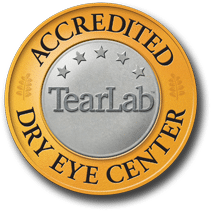 If you suffer from Dry Eye, our Dry Eye Center is here to help. Approximately half of those with general allergies will experience eye allergies, which cause itchy, red, burning, and watery eyes. Allergens such as pollen, dust mites, pet dander, mold, air pollution, cosmetics, soaps, foods, and even eye drops can trigger eye allergies. Our eye doctors will examine your eyes and recommend prescription medications to relieve your allergy symptoms. Our allergy testing is called Doctor's Rx Allergy Formula diagnostic test. This tests your eyes comprehensively, to see if there may be any other conditions or ocular disease that could be ruled out. This diagnostic test gives doctors the ability to get right to the root and diagnosis of a patient's ocular allergies. This test takes about three minutes, and produces results within 10-15 minutes. This test is covered by insurance. If you recently had allergy testing in our office, and would like to learn more about the allergens that we tested for, visit our MO Allergen Panel. There are two potential injuries that can happen to the cornea: a corneal abrasion and corneal ulcer. Corneal abrasions are potential injuries, and occur when the cornea is scratched or injured by substances such as dirt, sand, or chemicals. A corneal ulcer, is an open sore on the cornea. It is usually cause by infection or severe dry eye. Contact lenses or ultraviolet light may also damage the cornea. Puncture injuries may result from trauma. Particles moving at a high speed or very sharp objects can penetrate the cornea. Symptoms of a corneal abrasion or ulcer may include eye pain, redness, the feeling that something is in your eye, excessive tearing, blurred vision, or sensitivity to light. If you have a corneal abrasion or ulcer, you should seek treatment immediately. Superficial corneal injuries heal quickly with treatment. Extremely severe cases may require surgery or a cornea transplant. Keratoconus is one of over 20 corneal dystrophies that causes the cornea to become cloudy and decrease vision. This condition causes the normally dome-shaped cornea to bulge outward into a cone shape, which leads to blurred vision. Keratoconus typically affects both eyes and develops during the teenage years. 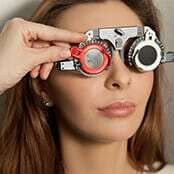 In the early stages, it can be managed with eyeglasses or soft contact lenses. 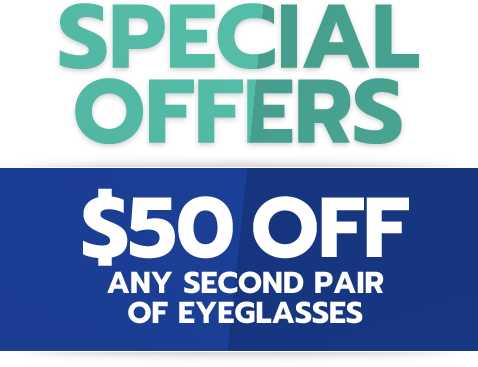 But as the disease progresses, you will need specially fitted contact lenses to prevent further damage to the cornea, reduce the distortion, and improve vision. There are various types of lenses to treat keratoconus, including custom soft contact lenses, gas permeable lenses, "piggybacking" lenses, hybrid lenses, or scleral and semi-scleral lenses. For your convenience, our doctors can fit you with these specialty lenses in the comfort of our office. Those who cannot tolerate contact lenses or who have advanced keratoconus may benefit from a cornea transplant or advanced treatments, such as high radio energy to reshape the cornea, which may help prevent the need for a corneal transplant. Don’t trust your eye care to anyone other than Advanced Sight Center. Our board-certified ophthalmologists serve the residents of St. Louis with four offices in Washington, Creve Coeur, and Bridgeton, Missouri. Call us at the location nearest you or request an appointment online.